Through real-world engineering applications, the ACE(D) Lab experiential learning research crosses disciplines including engineering, psychology and the learning sciences, as we uncover how individual performance is influenced by abilities, personal interests and direct manipulation of physical and virtual objects. 1. Using innovative technologies to study novel user interfaces, virtual and augmented learning and working environments that encompass human aspects at the cognitive, eye-tracking and sensory-motor levels. 2. Investigating the role of individual aptitudes and abilities in performing and learning engineering through psychometric instruments and psychological interventions. 3. Adopting design thinking as a philosophy (inspiration, ideation, and quick prototyping) to investigate user-centered design, empathic design and design for social innovation. Diana Bairaktarova is an Assistant Professor in the Department of Engineering Education at Virginia Tech. She completed her Ph.D. in Engineering Education from Purdue University in 2013 with a dissertation focused on the efficacy of mechanical objects in engineering learning. 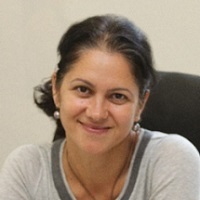 Dr. Bairaktarova holds BS and MS degrees in Mechanical Engineering from Technical University in Sofia, Bulgaria and an MBA degree from the Hamline School of Business, St. Paul, Minnesota. Dr. Bairaktarova has over a decade of experience working as an Engineer. She worked as an Operations Engineer at Eurologistics, Sofia, a Module Design Engineer at TLC Precision Wafer Technology, Minneapolis, MN, and a Manufacturing Engineer at Napco International, Hopkins, MN. During her years at Purdue, she served as graduate research and teaching assistant, instructor, and a faculty fellow. After complitting her Doctoral Degree, for two years Dr. Bairaktarova hold Professor of Practice in the College of Engineering at University of Oklahoma. While teaching fundamental courses in Aerospace and Mechanical Engineering, and being the proud advisor of the Sooner Off-Road team, Dr. Bairaktarova also engaged 7 undergraduate and 2 graduate students in research focused on human learning and engineering, i.e. understanding how individual differences and aptitudes affect interaction with mechanical objects in engineering education instruction, and how engineering students’ personality traits influence ethical decision making process in the engineering design. Desen is a PhD student in Engineering Education at Virginia Tech. 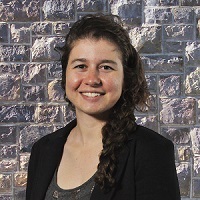 Prior to studying at VT, she worked in the Biosystems engineering department at the University of Tennessee, Knoxville as a research assistant focusing on wastewater engineering and water reclamation. Desen holds a B.S. in Chemical Engineering from Tufts University and is on track to completing her M.S at Virginia Tech. She was born in Arlington, Texas, then moved to Istanbul, Turkey, and then to Boston to pursue her B.S. She speaks Turkish fluently. Her PhD focus is on creativity and design in engineering education. When not studying or teaching, Desen is riding her bikes up and especially down the mountains of Southwest Virginia. Sam Snyder is a first year Ph.D. student in the Department on Engineering Education at Virginia Tech. He received his Bachelors of Science in Materials Science and Engineering in 2017 at Virginia Tech. His current research interests are in engineering ethics education and exploring the relationship between professional practice and engineering education. 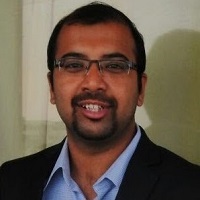 Sathya received his Bachelor’s degree in Mechanical Engineering from SASTRA University, India and completed his Bachelor’s thesis at Polytechnic University of Catalonia, Barcelona in 2014. He later worked as a Research Associate at the Indian Institute of Technology, Madras for a project on predicting thermodynamic losses in steam turbines, where he gained experience in conducting experiments and performing numerical simulations. Later he worked as a Safety Engineer at Lloyd’s Register – Energy, Mumbai, India; where he worked on projects focusing on fire hazard analysis for European power plants. 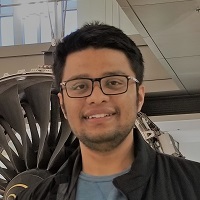 Sathya started working in the ACE(D) group from Fall of 2017, on developing an interactive virtual objects tool to aid an undergraduate Thermodynamics course project. 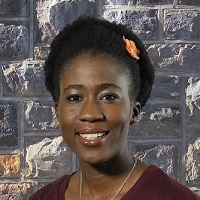 Adetoun Oludara Yeaman is second year student in the Department of Engineering Education at Virginia Tech. She was born and raised in Nigeria till the end of her secondary education. She obtained her bachelor’s degree in Biomedical Engineering and her Master’s degree in Mechanical and Nuclear Engineering from Virginia Commonwealth University. 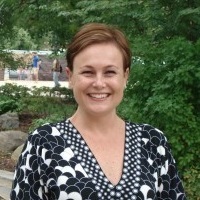 Her current research interests are in Visual thinking, Design thinking and Empathic design. She hopes to see empathic design incorporated more in Engineering educational settings and engineering projects, especially those local to developing countries. She hopes to be a faculty member in a Biomedical Engineering department and be actively involved in outreach projects that help raise children to develop their innovative skills and posture themselves to meet needs in society. 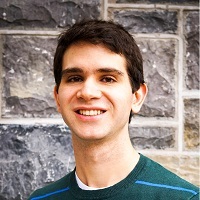 Rabih Younes is a PhD candidate in Computer Engineering and a Graduate Research Assistant at Virginia Tech. He earned his BE and MSE in Computer Engineering from the Lebanese American University. Rabih speaks eight languages (fluent in three) and holds a number of certificates in education, networking, IT, and skydiving. He is also a member of several honor societies, including Tau Beta Pi, Eta Kappa Nu, Phi Kappa Phi, and Golden Key. Rabih is expected to earn his PhD in May 2018 and start working as a professor at Duke University in July 2018. 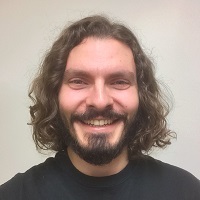 He has a passion for both teaching and research; Rabih has been teaching since he was a teenager, and his research interests include wearable activity recognition, engineering education, and Middle Eastern politics. Matthew Reyes received his bachelor’s and master’s degrees from Texas A&M University. 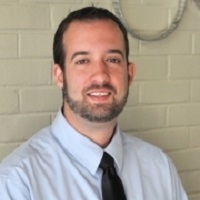 After working for several years in the construction industry both in the field and in management, he joined the Construction Science faculty at the University of Oklahoma in 2012. Along with his research interests in occupational safety among the Latino workforce in construction, he is interested in teaching students to improve their spatial skills and in using educational games to enhance instruction. She collaborates with computer scientists, engineers, physicists, and scholars from the biological sciences. 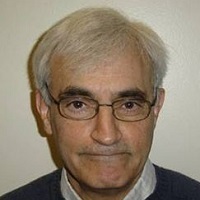 William Graziano received his PhD in Minnesota in 1976 and is currently a Psychological Sciences faculty at Purdue University. He currently runs the Person and Thing orientation Laboratory at Purdue University. In collaboration with graduate and undergraduate students, he works on interpersonal aspects of people orientation like attraction, cooperation, helping and conflict. Sanchit Ingale is pursuing his Master’s degree in Mechanical Engineering at Virginia Tech. 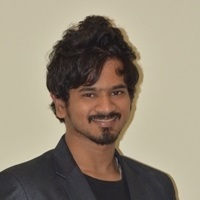 He completed his undergraduate degree from Pune University, India in 2014. During his undergraduate studies, Sanchit worked on a research project at TATA Motors Ltd which focussed on the implementation of the Quality and Cost improvement methods on the rear axle production line. He also has 3 publications in peer reviewed journals related to his research project. His current research involves an experimental study to evaluate how the presence of mechanical objects affects students performance in engineering related tasks. Apart from academics, Sanchit is a photography enthusiast and loves travelling. Anirudh Srinivasan is currently working on his Master’s degree in Mechanical Engineering at Virginia Tech. He received his Bachelor’s degree in Automobile Engineering from Anna University, India. He is working with Dr. Diana Bairaktarova, Assistant Professor, Department of Engineering Education at Virginia Tech. He works with Dr. Bairaktarova at the ACE(D) Lab on the use and implementation of technology in Engineering Education. His diverse research interests lie in Engineering Education, Spatial Skills, Mechanical Engineering, Control Systems, Automobile Engineering. Bairaktarova, D. (in print, 2018). Coordinating mind and hand: The importance of manual drawing and descriptive geometry instruction in a CAD-oriented engineering design graphics class.​ Engineering Design Graphics Journal. Bairaktarova, D. & Eodice, M. (2017). Thermodynamics in High Rhythms and Rhymes: Creative Ways of Knowing in Engineering. Advances in Engineering Education, 6(2), pp. 1-18. Bairaktarova, D., Bernstein, W., Reid, T. & Ramani, K. (2016). Beyond Surface Knowledge: An Exploration of How Empathic Design Techniques Enhances Engineers Understanding of Users’ Needs. International Journal of Engineering Education, Vol. 32, No. 1 (A), pp. 1-12. Bairaktarova, D. (2016). The New Renaissance Artificers: Harnessing Creativity in the Engineering Classroom. In Creative Ways of Knowing in Engineering. Eds: Bairaktarova, D. and Eodice, M. Berlin: Springer. Taiwo, A., Younes, R., Cranwell, L., Gewirtz, C., and Groen, C. (2016). Creative Ways of Knowing and the Future of Engineering Education. In Creative Ways of Knowing in Engineering. Eds: Bairaktarova, D. and Eodice, M. Berlin: Springer. Bairaktarova, D. and Eodice. (2016). Creative Ways of Knowing in Engineering. Berlin: Springer. Yeaman, A. O., Boyd-Sinkler K., and Bairaktarova, D. An exploratory study on inclusion of visual representations of thermodynamics-related problems. Proceedings of the IEEE 2017 Frontiers in Education Conference (FIE), October 18-21, 2017, Indianapolis, IN. Ingale, S., Srivasavan, A., and Bairaktarova, D. (2017). CAD Platform Independt Software for Automatic Grading of Technical Drawings. Proceedings of the ASME 2017 International Design Engineering Technical Conferences & Computers and Information in Engineering Conference IDETC/CIE 2017, August 6-9, 2017, Cleveland, OH, USA. Ozkan, D. and Bairaktarova, D. (2017). The Artistic Identity of First-Year Engineering Students. Proceedings of the 124th ASEE Annual Conference and Exposition, June 25 - 28, 2017, Columbus, OH. Srivasavan, A., Smith, J., and Bairaktarova, D. Identifying Freehand Sectional View Technical Drawing Activities in Engineering Design Graphics Course to Enhance Spatial Skills of Engineering Students. Proceedings of the ASME 2016 International Design Engineering Technical Conferences & Computers and Information in Engineering Conference IDETC/CIE 2016, August 21-24, 2016, Charlotte, NC, USA. Reyes, M., Bairaktarova, D., and Woodcock, A. (2016). Improving Student Spatial Skills: Using Life Experiences and Motivational Factors to Inform Instructional Interventions. Proceedings of the 123th ASEE Annual Conference and Exposition, June 25 - 28, 2016, New Orleans, Louisiana. Davis, C. and Bairaktarova, D. (2016). Project-Based Approach in an Electrical Circuits Theory Course - Bringing the Laboratory to a Large Classroom. Proceedings of the 123th ASEE Annual Conference and Exposition, June 25 - 28, 2016, New Orleans, Louisiana. Bairaktarova, D., Reyes, M., Carlton, D., and Nassr, N. Identifying Motivational Factors and Lived Experiences to Enhance Spatial Skills in Novices and Experts in STEM Disciplines. Proceedings of the 122th ASEE Annual Conference and Exposition, June 13-17, 2015, Seattle, Washington. Burrus, A. and Bairaktarova, D. Effects of Multilevel Examples in teaching Thermodynamics. Proceedings of the 122th ASEE Annual Conference and Exposition, June 13-17, 2015, Seattle, Washington. Title: Collaborative Research: vObjects - Understanding their Utility to Enhance Learning of Abstract and Complex Engineering Concepts. Abstract: Thermodynamics is a subject that often features engineering problems that are not well-defined and abstract concepts that are often hard for students to understand. In addition, the scale at which thermodynamic phenomena occur makes it difficult, if not impossible, for students to interact with authentic physical objects that exhibit such phenomena. To address these challenges, this project will use virtual objects (vObjects) to enhance learning by closely mapping the learner experience to real-life engineering scenarios. This study will be one of the first to systematically evaluate characteristics and features of a virtual learning environment designed to support the "messiness" of real world problem solving. This project will employ technological advancements for manipulation of vObjects to help students apply foundational knowledge to the solution of ill-defined problems and to address the improvement of virtual learning for future engineering curricula. A comprehensive understanding of the utility of vObjects in engineering will contribute to the development of online learning environments, including augmented reality environments. Virtual learning of engineering skills can also be used as a tool for broadening participation in STEM by providing the opportunity for greater access by diverse students. In broad terms, this research will contribute to improving and transforming undergraduate engineering education by enhancing student learning of theoretical and abstract engineering concepts. Title: Institutional Transformation: Cultivating an ethical STEM culture through an integrated undergraduate general education. Abstract: This project will study the implementation and effectiveness of a university wide ethical reasoning curriculum. The project will identify and assess the culture of ethics education that emerges from "Pathways to General Education" at Virginia Tech. The project will do a systematic analysis of institutional transformation. It will focus on the culture of STEM ethics by tracing the implementation of ethical reasoning into a new general education curriculum. The research will evaluate the transferability of this approach to other institutions. The project will contribute to broadening students' expertise beyond their field of study and to provide competencies that will transfer to the workplace. Summer institutes, webinars, on-line training modules and workshops will be developed for faculty to promote ethical considerations in teaching and doing STEM. The findings of this project will be of interest to faculty members, students, university administrators and businesses. The project will include multi-pronged evaluations of the efficacy of a new curriculum program at Virginia Tech. It will understand the dynamics of the individual, collective, and institutional processes evident in their implementation; and test the overall utility of the ABCD theory of change as employed in this transformation effort. There are four categories of anticipated impacts from this project: 1) evaluation for direct improvement in faculty ethics teaching competency, 2) evaluation of students' ethics learning competency, 3) estimation of changes to ethical climate in an R1 STEM focused university, and 4) dissemination of findings and best practices from this project's research to other institutions. The project will collect qualitative and quantitative data through interviews, surveys and participant observation. Title: Research: Examining the impact of mechanical objects in students learning of thermodynamics-related engineering problems. Abstract: As technology quickly advances in modern society, it is important that the engineers of tomorrow fully learn the basic concepts of engineering so that they can apply these concepts throughout their careers to a range of new applications. Many engineering courses in college involve teaching abstract concepts that are often difficult for students to understand. For example, "Thermodynamics" is an important course that involves learning about relationships between heat, energy, and mechanical work. Thermodynamics is known to be a difficult course for many students since some of the concepts in the class, such as heat and energy, are abstract. One method for teaching difficult engineering subjects is to use physical or mechanical objects that a student can touch and manipulate in order to demonstrate important concepts. This project examines new approaches for the use and evaluation of mechanical objects as teaching tools in a thermodynamics course with the idea that results from this work can then be applied to additional engineering courses. This project examines person-object interactions, a significant and critical aspect of engineering, to examine how these interactions affect comprehension of challenging concepts. The primary question to be addressed in the project is fundamental to engineering education and practice: What is the value of mechanical objects in learning engineering related concepts? This study uses quasi-experiments in a mixed methods design where different mechanical objects are used in several problem-solving activities in Thermodynamics classes. Physically demonstrating key thermodynamics concepts, involved in traditional problems, such as the conversion of heat to work, ideal gas behavior, or liquid-vapor phase change processes can be augmented with the use of mechanical objects. For example, a typical "piston-cylinder" arrangement in an automobile engine can be modeled with a simple mechanical object that consists of a plunger in a syringe with an integrated temperature sensor to physically illustrate relationships between compression, expansion, work, heat, temperature, and pressure. The study results will be analyzed in order to provide a clear picture of how the use of mechanical objects supports engineering activities and how individual differences affect the learning process. At the end of the project, the researchers will develop typologies of object use and mental models describing the cognitive processes involved in solving engineering related problems. Finally, the results from this work will provide guidance as to how mechanical objects can be used as educational tools. Description: Teaching sophomore engineering students enrolled in Mechanical engineering first and second law of thermodynamics and the application of these laws to the solutions of problems from a variety of engineering fields. Extensive use is made of differential calculus to interrelate thermodynamics functions. Recourses: Dr. Bairaktarova had developed an open educational resource for the use of her Thermodynamics students and offered as an alternative textbook. The material is licensed under a Creative Commons Attribution-NonCommercial-ShareAlike 3.0 United States License. The textbook includes different topics covered in Introductory Thermodynamics course, organized in chapters. The module discusses The First and Second Laws of Thermodynamics. After the introduction of every concept learners are offered a couple of examples with solved problems, supplemental materials, property tables, and examples from past years projects and assignments. Description: Expose students to spatial thinking concepts, graphical representation and communication. Provide a foundation of basic knowledge and technical skills for students to envision 3D structures, visualize and think in 3D, analyze spatial thinking problems using sketching, CAD modeling and 3D printed physical objects. Enhance the students’ spatial thinking abilities and skills (see and understand the world in new and useful ways). •	Ingale, S., Srivasavan, A., and Bairaktarova, D. (2017). CAD Platform Independt Software for Automatic Grading of Technical Drawings. Proceedings of the ASME 2017 International Design Engineering Technical Conferences & Computers and Information in Engineering Conference IDETC/CIE 2017, August 6-9, 2017, Cleveland, OH, USA. •	Reyes, M., Bairaktarova, D., and Woodcock, A. (2016). Improving Student Spatial Skills: Using Life Experiences and Motivational Factors to Inform Instructional Interventions. Proceedings of the 123th ASEE Annual Conference and Exposition, June 25 - 28, 2016, New Orleans, Louisiana. •	Identifying Freehand Drawing Activities to Enhance Spatial Skills of Engineering Students. Visualization in Science & Education, Gordon Research Conference, August 2-7, 2015, Lewiston, ME. Description: Introduction to CAD systems, the modeling futures of SolidWorks program, geometry modeling, and tolerance. Solving open-ended design and visualization problems. Incorporated ANSYS to introduce finite elements modeling. •	Bairaktarova, D. (accepted). Coordinating mind and hand: The importance of manual drawing and descriptive geometry instruction in a CAD-oriented engineering design graphics class. Journal of Engineering Design Graphics. •	Bairaktarova, D. and Cohen, D. Support Value of Technical Freehand Drawings in Engineering Design Graphics: A Complimentary Approach to Develop and Advance Spatial Thinking. CIRCLE Conference, September 17-19, 2015, Evansville, IL. Description: The focus of this graduate course is on learning ‘to design’, “design tools”, and ‘design processes’ with a toy prototype as a course project. The design of artifacts is addressed from a multidisciplinary perspective that includes opportunity determination through inspiration, ideation, and implementation using design thinking framework. •	Adaptation of a Design Thinking Course from a Well-established Program – Lessons Learned. Design Thinking in Design Education, Mudd Design Workshop IX, May 28-30, 2015, Claremont, CA. Description: This course is led by professors from Management, Engineering, and Industrial Design, with mentors and visitors from professional communities at VT and beyond. Investigate real startup opportunities with an interdisciplinary team and learn strategies for commercializing new ventures. Dr. Bairaktarova, in collaboration with social psychologists, has developed a new mechanical aptitude scale. Mechanical aptitude items were designed, tested, and validated across three phases in large samples of engineering and non-STEM students across four U.S. universities. The final ACE(D)_MAT scale consists of a bank of 44 multiple choice and open-ended items covering: mechanical insight, mechanical knowledge, shop geometry and measurement, and tool knowledge from which 78 22-item tests can be randomly drawn. The ACE(D)_MAT will be soon presented online with no cost to educators and researchers. The items are scored electronically and reflect three dimensional (3D), colored objects and tools common in engineering. The scale shows no evidence of gender or English-language proficiency bias. The scale reliably distinguishes between expert (engineering students) and novice (non-engineering students) test-takers, and is strongly correlated with extant measures of mechanical aptitude. Drs. Bairaktarova and Woodcock are currently working on publishing the test. For more information and use of ACE(D)_MAT, please contact Dr. Bairaktarova (dibairak@vt.edu). Another project involves investigating psychological interventions that can be used in conjunction with teaching best practices to improve engineering students’ self-evaluations and their performance on critical skills such as spatial ability. We have developed virtual objects (vObjects) learning environment aid the pedagogy of abstract concepts in engineering Thermodynamics. The impact of the vObject tool has being evaluated by practicing engineers in the Energy filed through a course project where students were required to construct a conceptual power plant. Run setup in the downloaded folder to create a desktop shortcut.